You will need to be connected to the modem's WiFi or (recommended) have a computer with an Ethernet cable plugged into one of the four yellow “LAN” ports on the back of the router. The following steps are for the Voyager retailed Huawei HG659 router. 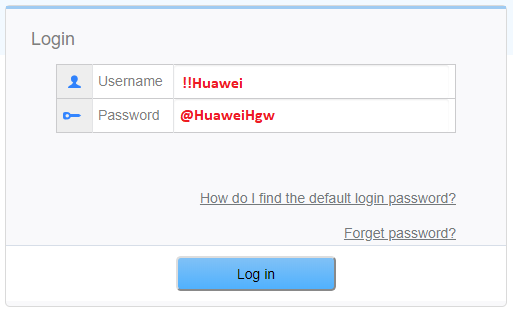 If you have a Huawei HG659 router from another internet service provider, the setup process may be different. We do not guarantee this functionality because the compatibility of the third party router you wish to bridge to the Voyager Huawei router will be a significant factor. 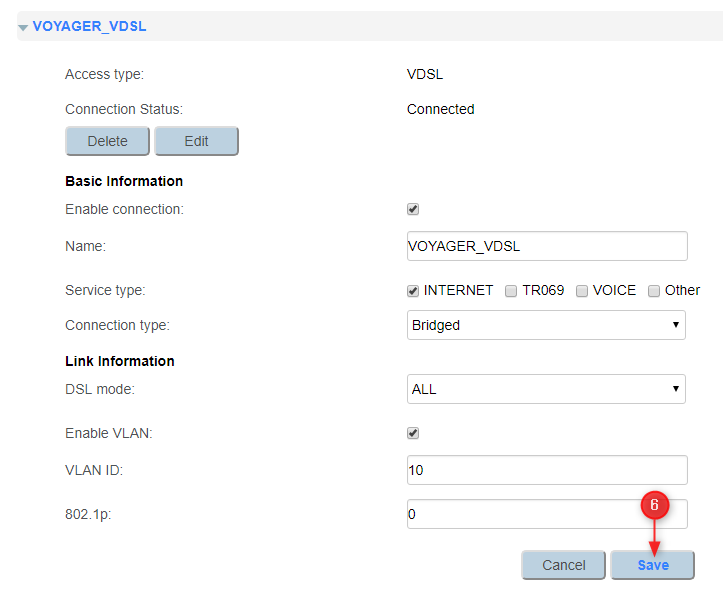 7) Configure the Voyager VDSL PPP configuration with VLAN tagging disabled on the WAN interface of your third party router. 8) Connect an Ethernet cable from any (Yellow) LAN port on the Voyager Huawei Router to the WAN port of your third party router. If you are still experiencing any difficulty with getting connected, please talk to us on 0800 477 333 (8AM to 10PM, 7 days a week). Please Note: Our scope of support is limited for non Voyager retailed hardware.